Hey there! For those of you who don't know, I participate in a book club on Facebook, called The Polished Bookworms, filled with nail polish-loving folk like me. 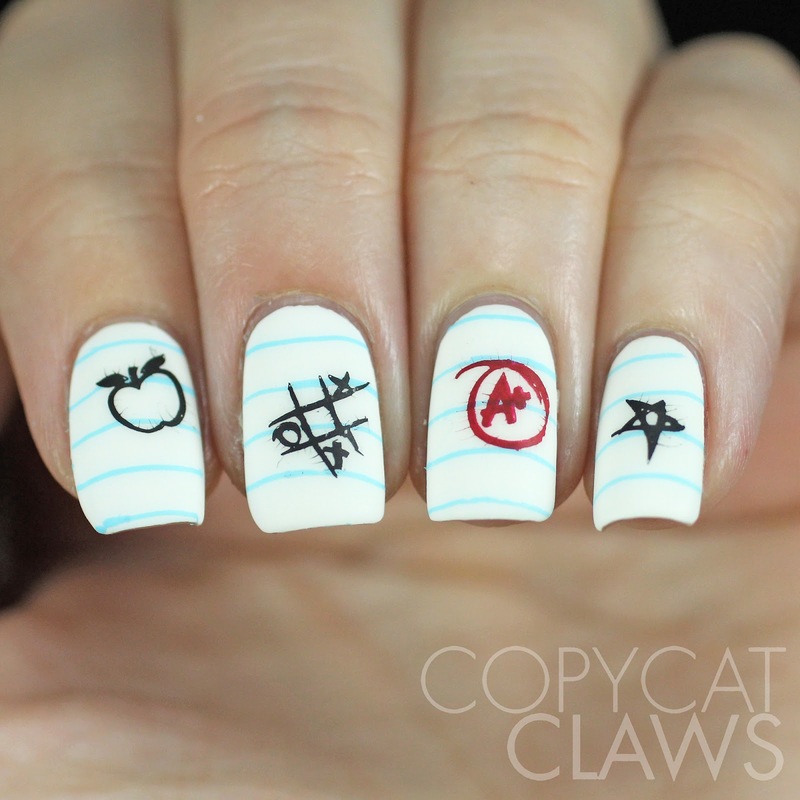 It's super fun to read books that I might not normally hear about and then do nail art inspired by them. This month's book definitely wasn't new to me. I read it ages ago (and still remember laughing out loud while reading it for the first time) so I gladly re-read it last month for the book club. As the post title suggests, this month's book was The Hitchhiker's Guide To The Galaxy. 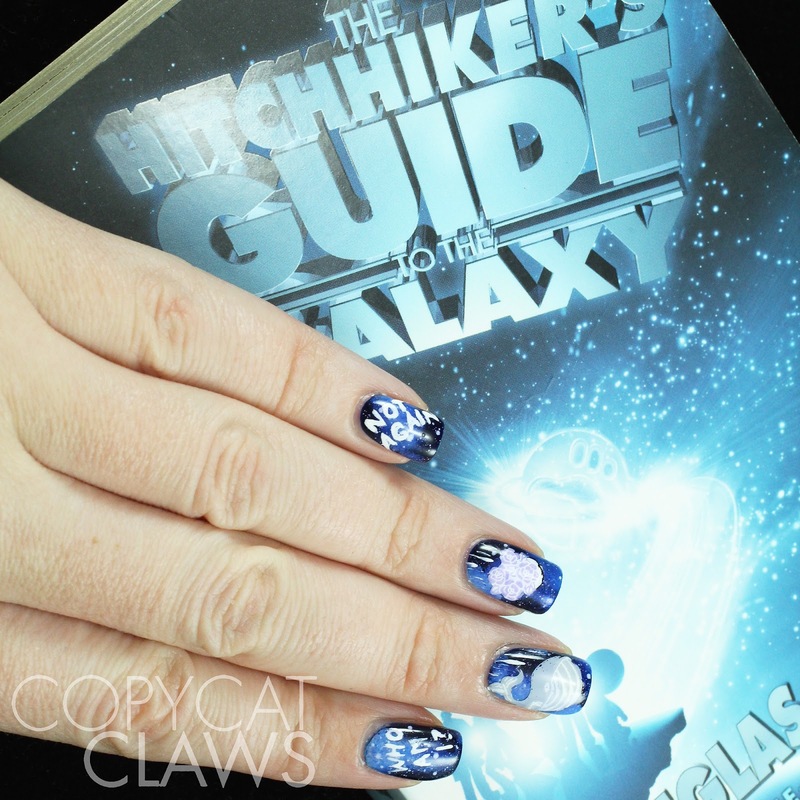 I couldn't resist doing a galaxy mani (inspired by the book cover) that I then mostly covered with some stamping inspired by my favourite part of the book. Hey there! 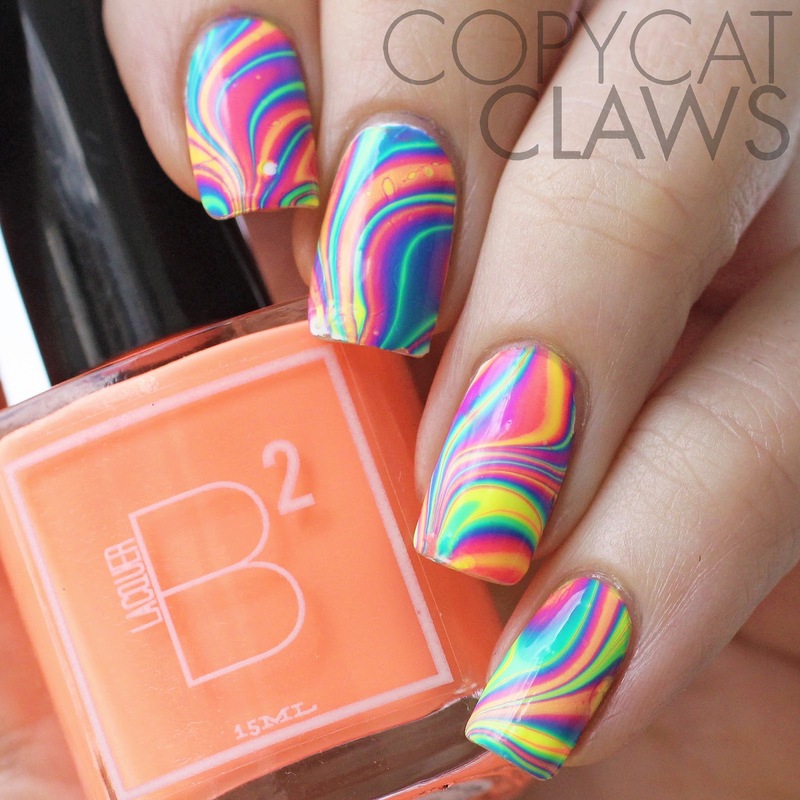 On Monday I posted swatches of the latest collection from B Squared Lacquer, the EDM Collex. 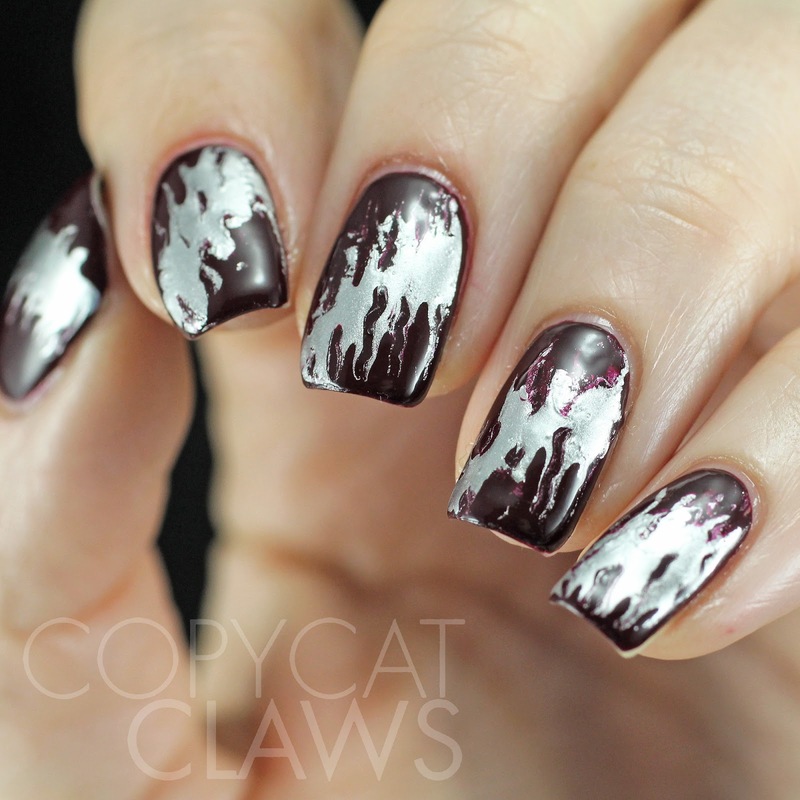 Of course, before I even swatched them, I wanted to see if they could marble. I had problems with them spreading at first but, after a good shake, they did indeed marble! Hey there! Can you tell the weather is warming up? It seems like so many of my posts lately (and coming up) are all neons. I do love the neons. Lucky for me, 3 Neons is one of this week's 52 Week Pick n Mix Challenge themes, along with Oceanic. 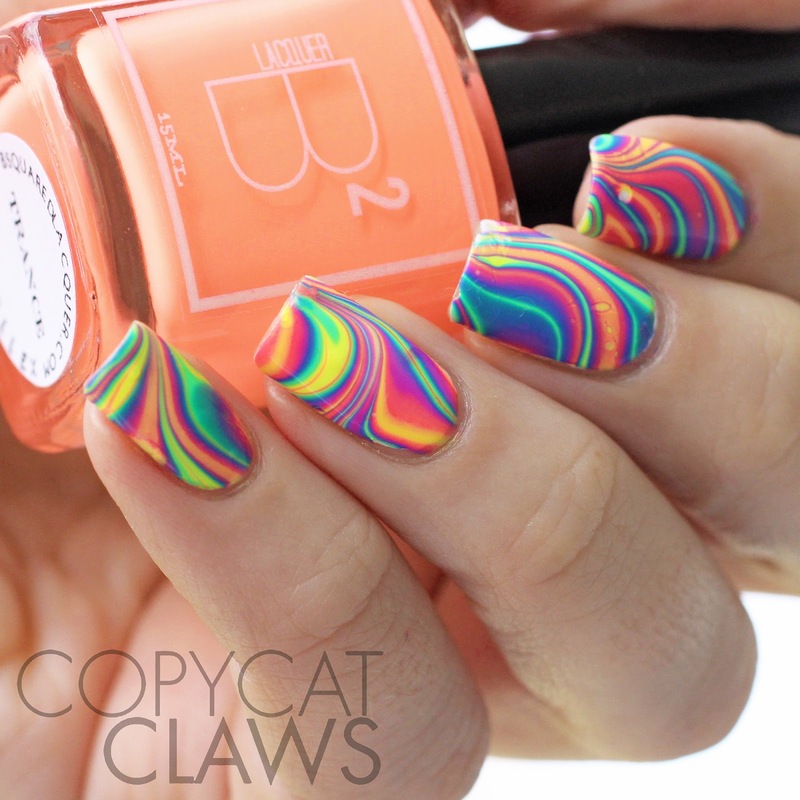 I *may* have snuck in an extra neon for this mani. I couldn't resist! Hey there! I don't normally buy whole collections but it seems like, with the awesome neon collections coming out lately, that I just can't help myself. I'm one of many people dying for the Pipedream Polish ANIV neons but it seems I'm just not on the ball enough to be able to snag those. 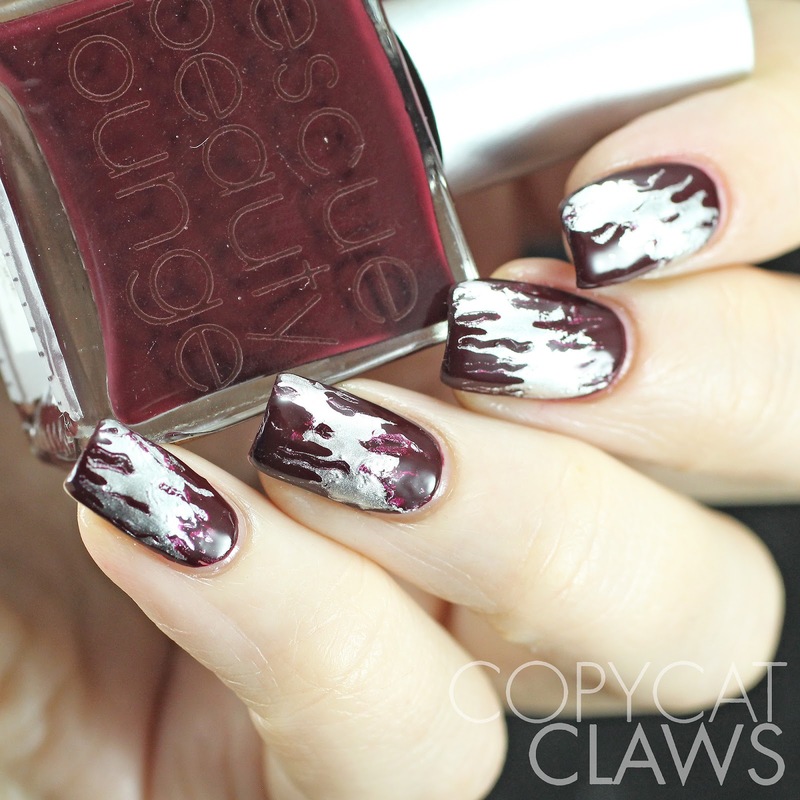 But I did get my grabby hands on the new B Squared Lacquer EDM Collex and I swatched them this weekend to post for those of you that may not have seen them yet. Hey there! As usual, my Sunday challenge post is coming a bit late at night. I don't even have a decent excuse. I slept in and laid around on the couch most of the day. Rough life, eh? 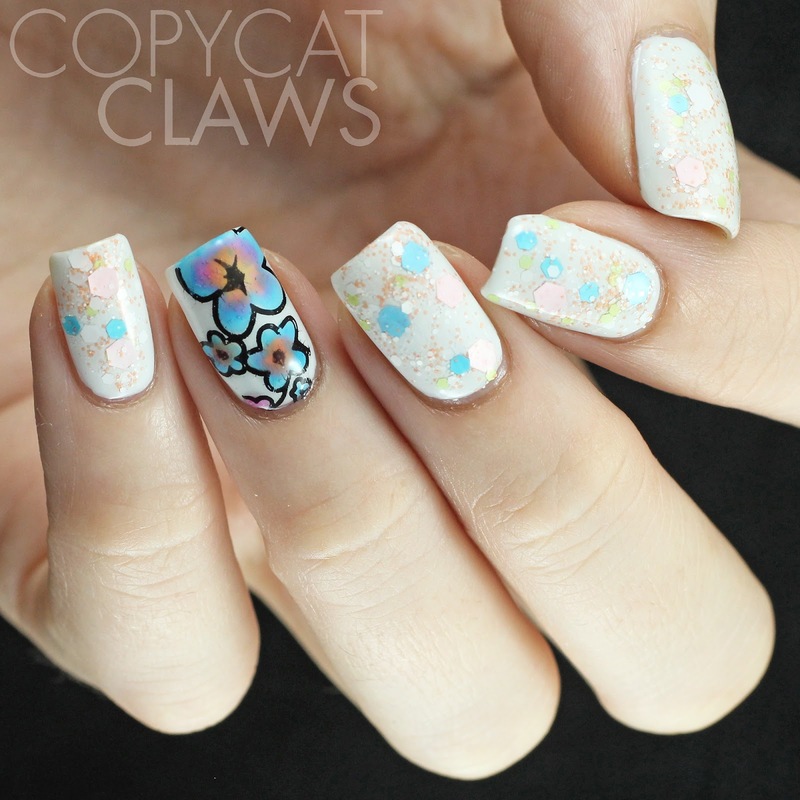 This week's Sunday stamping theme is Birds and Flowers. 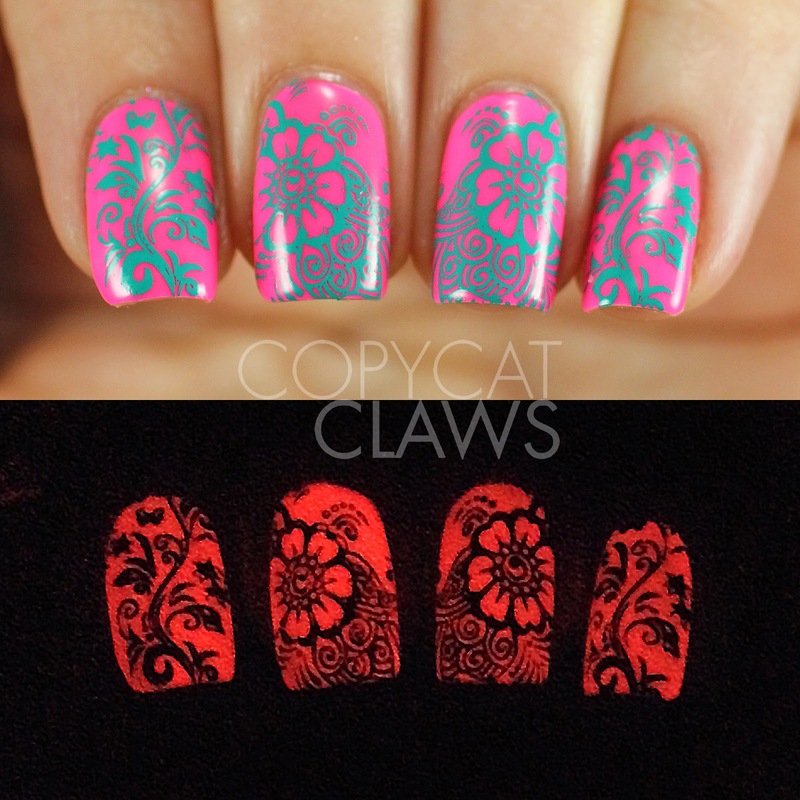 I did these super quickly earlier this week with a couple of Born Pretty stamping plates over an alcohol ink base. Hey there! Today's post is a leftover from last week's Digit-al Dozen Childhood week. I was so tempted to keep this one in the mix. 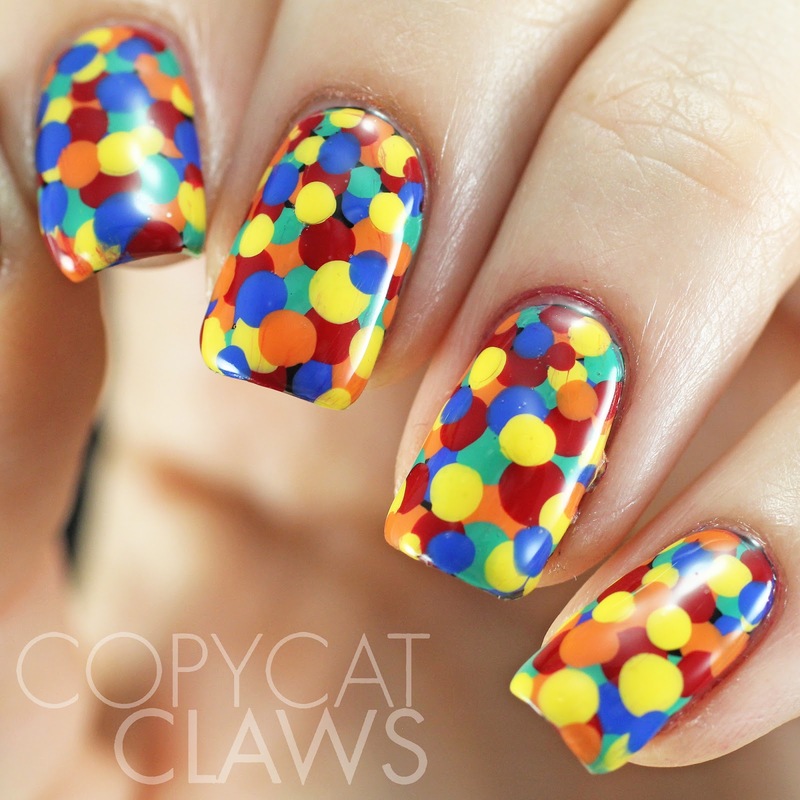 It got bumped but I still wanted to share it so here's a dotticure inspired by a ball pit. Hey there! 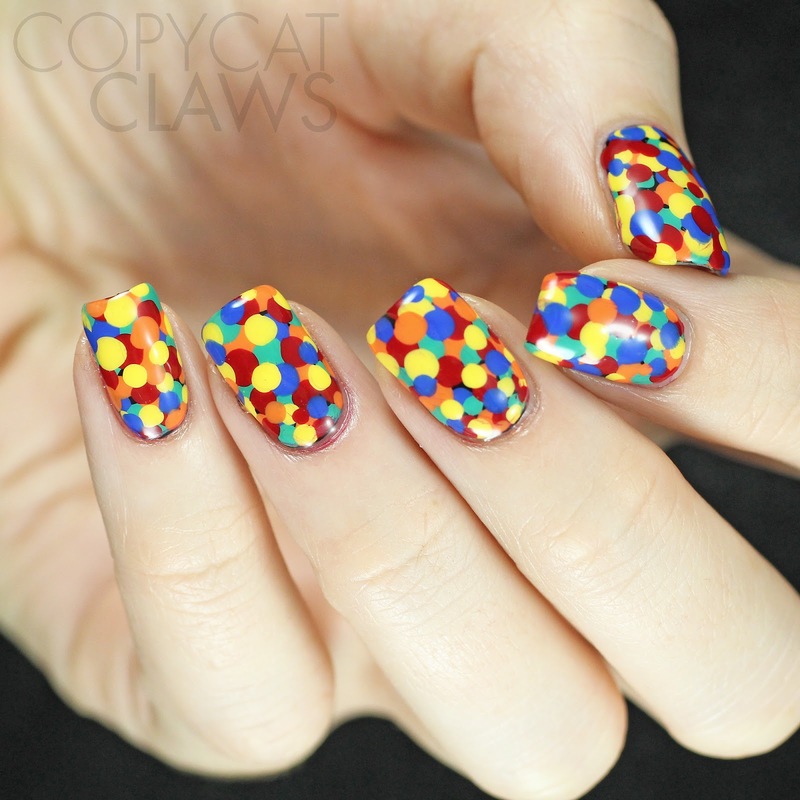 This week's Crumpet's Nail Tart's 52 Week Pick n Mix challenge prompts are neon and indie. A lot of my neons come from mainstream brands (though I'm slowly collecting more indies) but I did recently get the Esmaltes da Kelly Neon Soap Bubbles so I tried them out for some leadlighting for this week's theme. Hey there! Today I have an exciting, upcoming collection from Superficially Colorful Lacquer, a handmade 5-free indie brand. The Happy Hour collection, a group of four thermal textured polishes (yes, you read that right...thermal AND textured) that has been a long time coming as Jin searched for the right pigments. But she has found them and they're wonderful! But they are limited edition as she isn't able to get more of the supplies needed to make them. Once they're gone, they're gone so you better jump on them. Hey there! 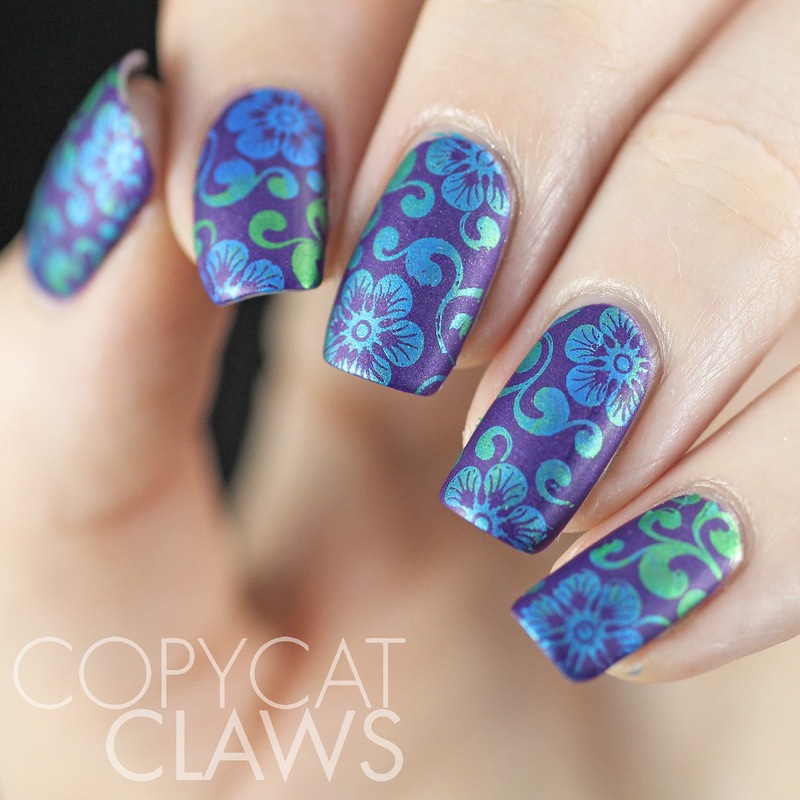 This week's Sunday stamping challenge was a tough one for me but I ended up loving it and wearing this mani for two whole days this week. The theme this week is "flowers is unusual/unnatural colors" which was tough for me because I couldn't think of any colors that flowers didn't come in. 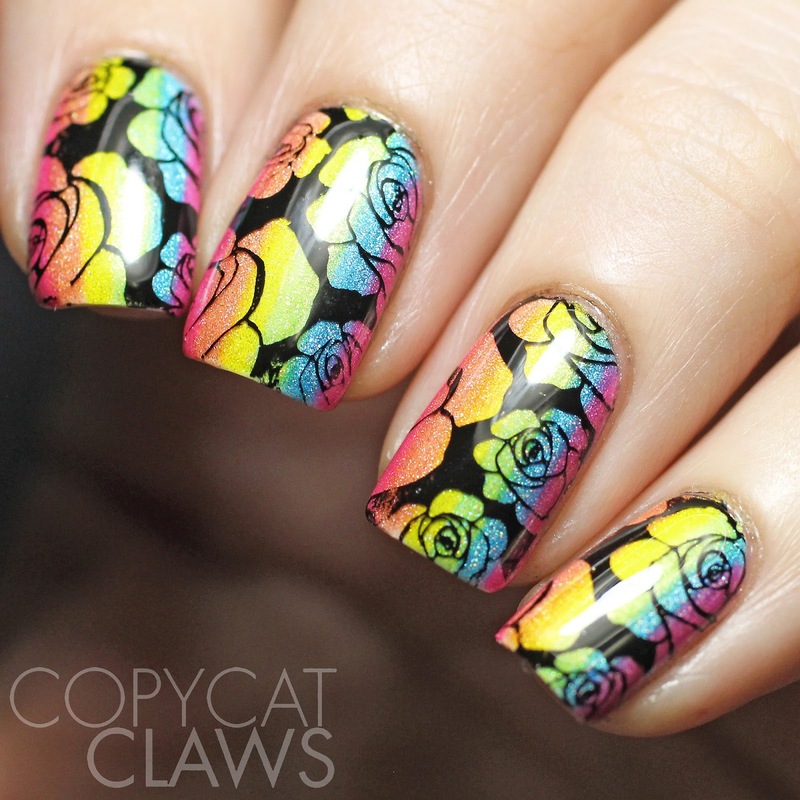 So I hit up Google and this is what I came up with....neon rainbow roses. Hey there! It's the final day of The Digit-al Dozen's Childhood week. I've been trying to do posts going with the chronological aging of children so today's post is one of the worst parts of being a kid....homework! Hey there! Sesame Street has been around a LONG time. According to Wikipedia it first aired in 1969 so it's been part of generations of childhoods so I obviously had to use the FUN 11 stamping plate with the Sesame Street characters for part of the Digit-al Dozen's Childhood week. 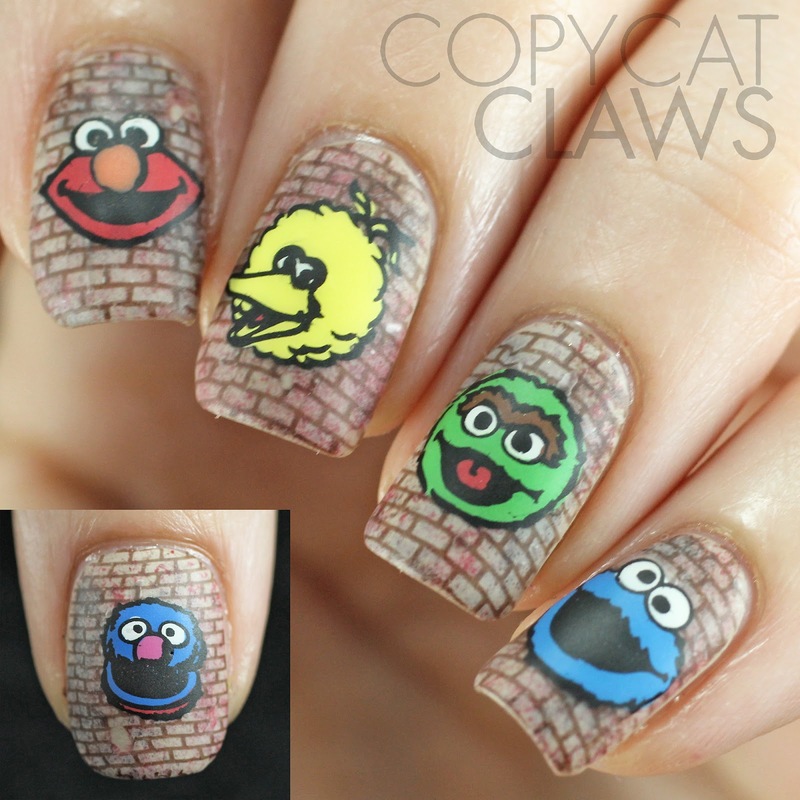 I remember watching Sesame Street every day when I was little. 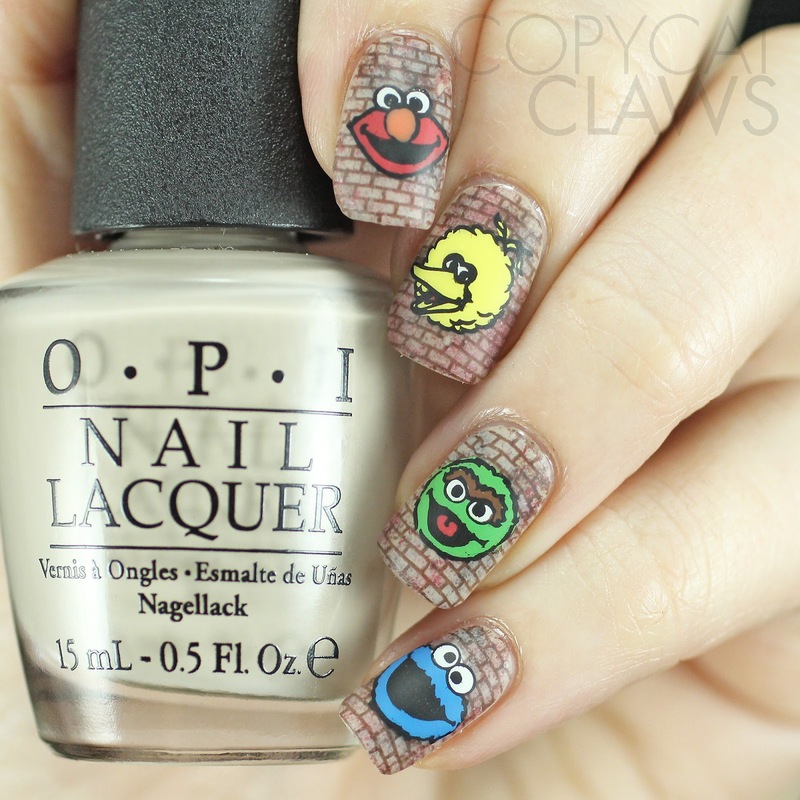 Personally my favourite character is Count von Count but he didn't get a stamping image so I guess Oscar the Grouch is my favourite one here. Hey there! 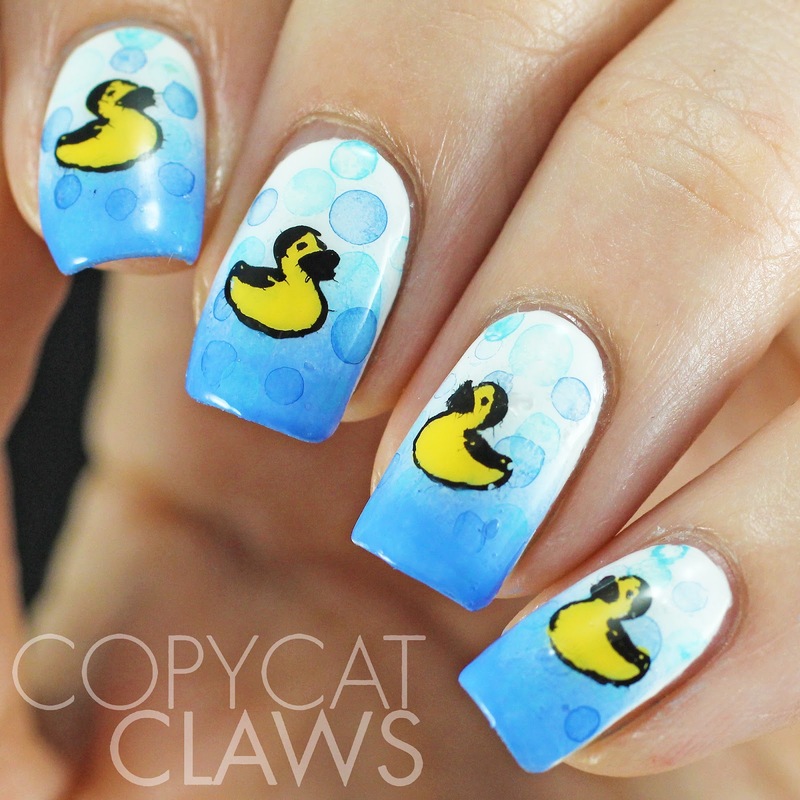 Today we're continuing with The Digit-al Dozen's Childhood week and I decided to celebrate bathtime, always one of my favourite times, with bubbles and rubber duckies. I do still enjoy my bathtime but nowadays the rubber duckies are nowhere to be found. Hey there! 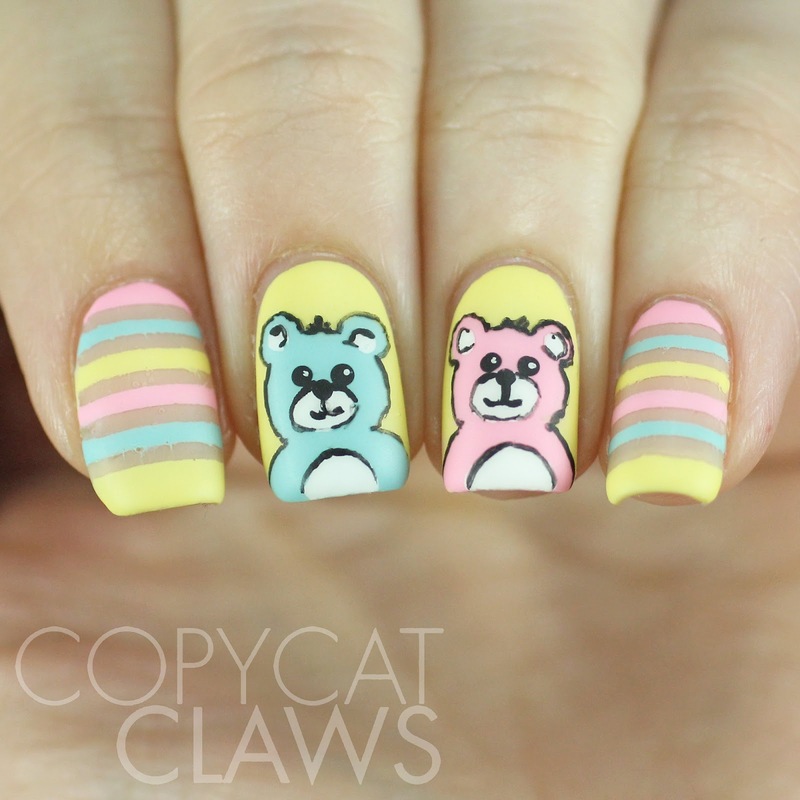 For Day 2 of The Digit-al Dozen's Childhood week AND for the Crumpet's Nail Tarts 52 Week Pick n Mix Challenge, I did some teddy bears that reminded me of early childhood or baby showers. The 52 Week Challenge prompts are 3 pastels and negative space. It was tough to combine all three themes but I hope I succeeded here. Hey there! Hooray, it's another Digit-al Dozen week, my favourite and most challenging week of the month. This month's theme is Childhood so I decided to start at the beginning (the very beginning) of childhood and work my way up this week. Today's post started as a silly idea between me and my officemate over beer after work one Friday but I'm actually really quite proud of how they turned out, possibly because this is directly related to what I do during my day job. Yes, I work with sperm and eggs (but not human stuff)...let the jokes begin! Hey there! 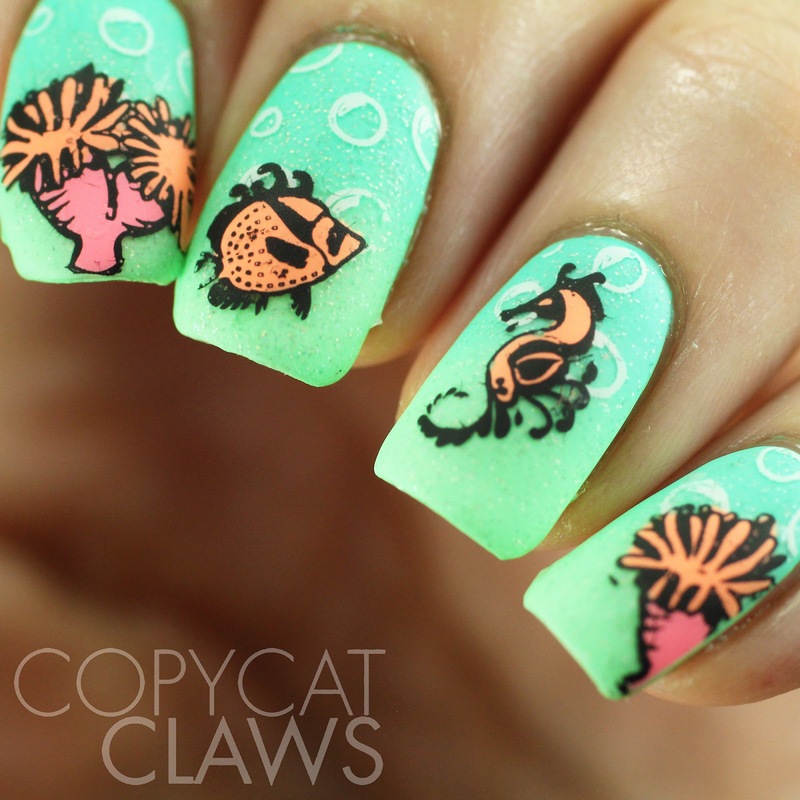 This week's Sunday stamping challenge is all about classic movies. 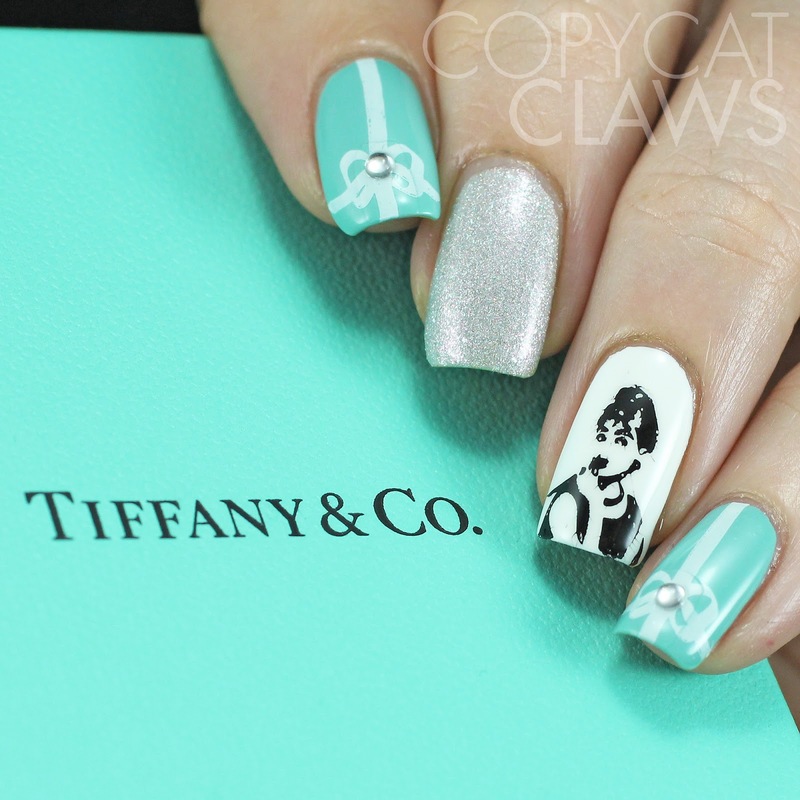 While I'm not a big film buff (I'm more of a TV junkie), I was a huge fan of the song Breakfast at Tiffany's back in the day so I did watch the movie. It was so long ago that I don't remember the movie but, luckily, it's so iconic that hopefully you don't need to know the movie to recognize the theme here. Hey there! Yay, it's Friday! Even though it was only a 4 day work week for me, it's dragged on so I'm very much looking forward to the weekend. 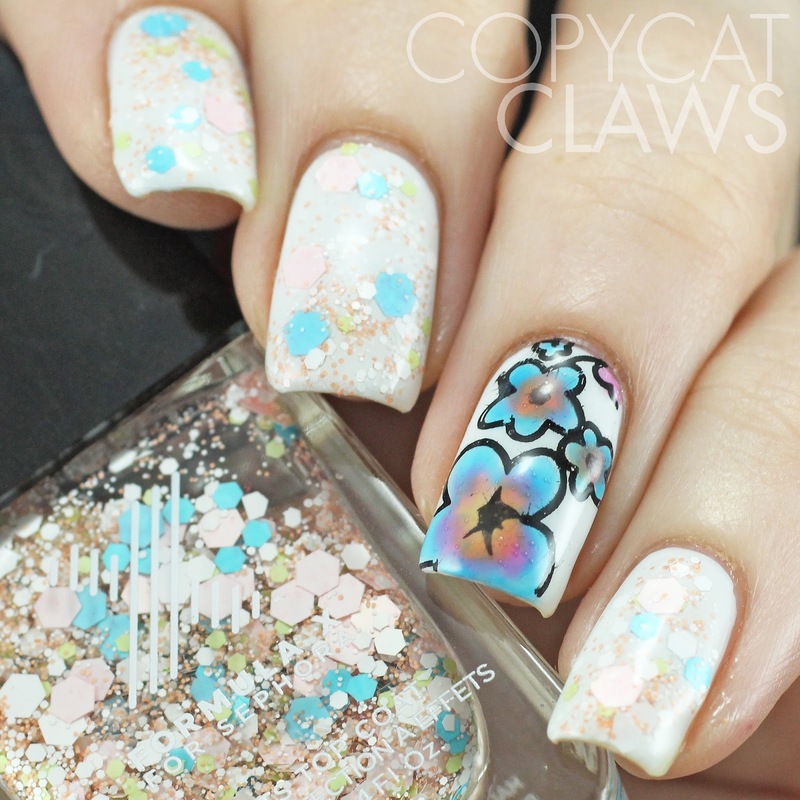 Today's post is something I wore earlier this week with one of the Formula X for Sephora's Transformer top coats that is so spring-toned that I just had to pair it with some floral stamping that I leadlighted with a few of Esmaltes da Kelly's Soft Soap Bubbles. Hey there! So how's that for an odd post title? 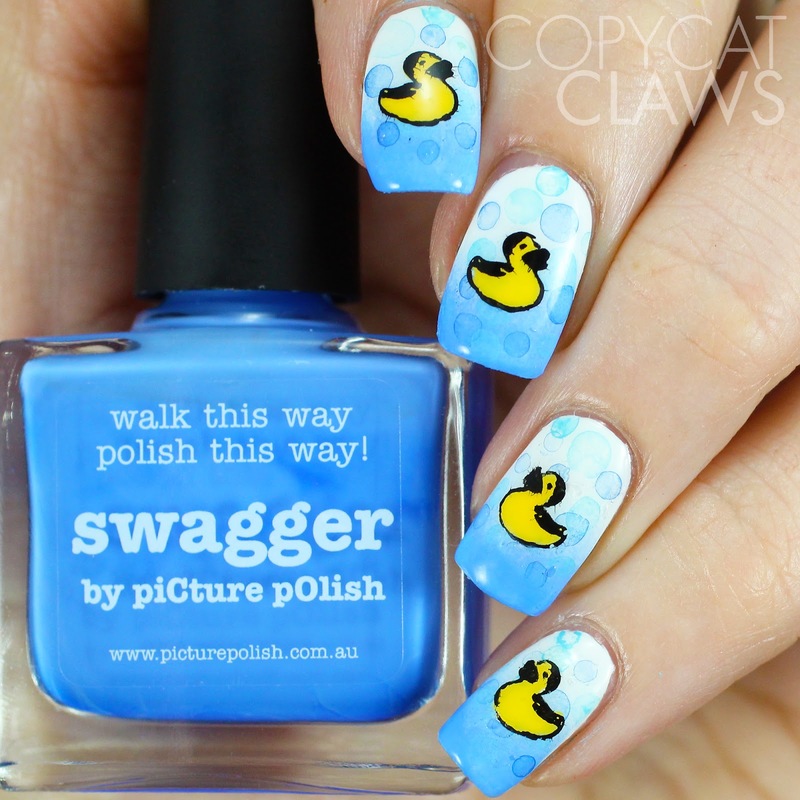 I'm always looking around for things to inspire my nail art. 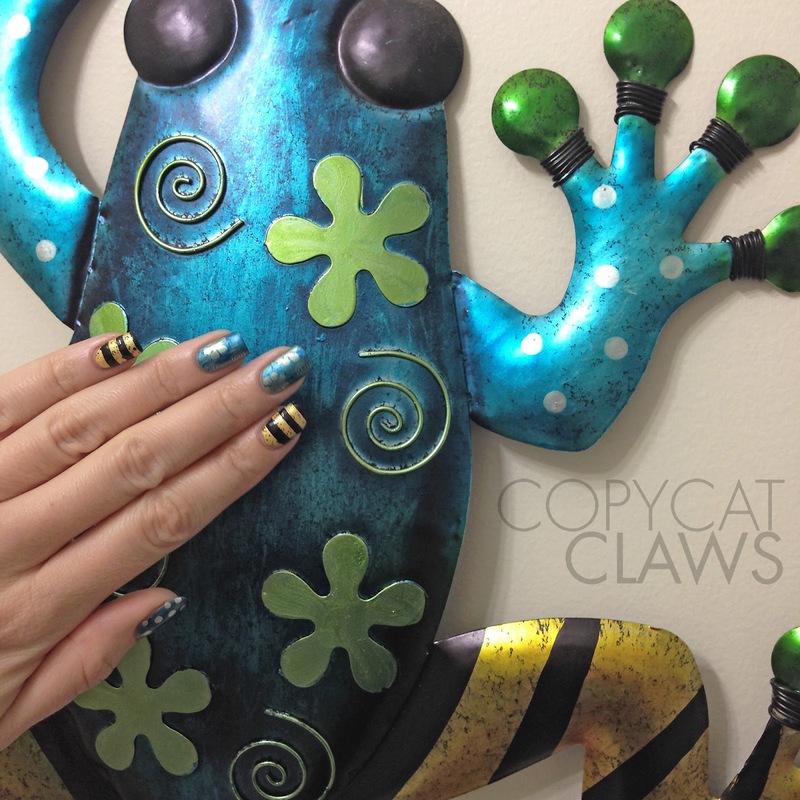 In this case, it's this goofy metallic frog from Bed, Bath & Beyond that my sister and I have in our bathroom. I think it's meant to be outdoor artwork but for some reason we thought he belonged in our bathroom so that's where he hangs. Do you like how I've assigned a random gender to an inanimate object? Hey there! 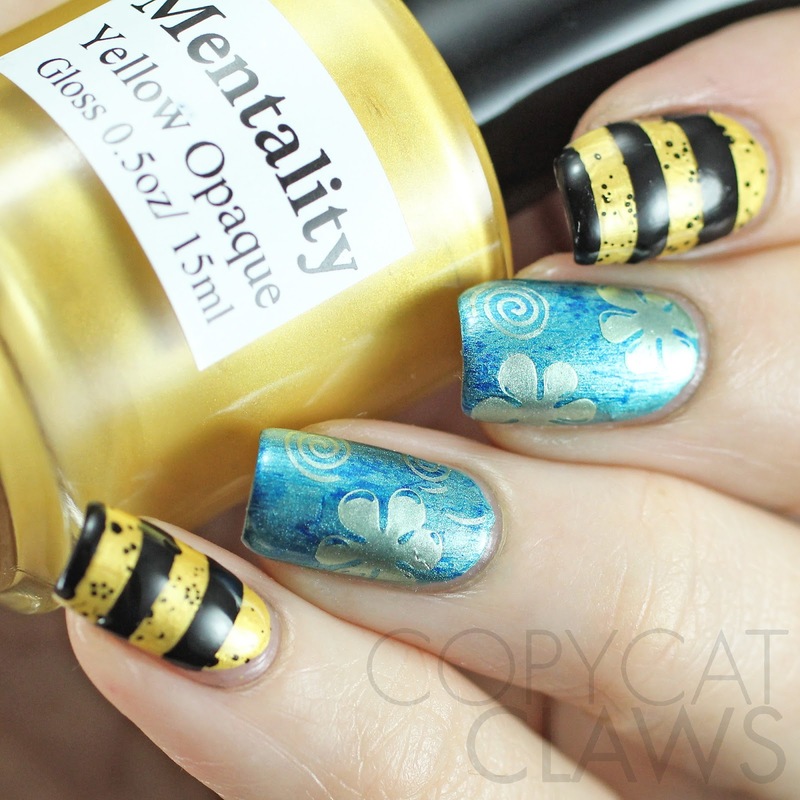 Today's nail art taught me something...I have no idea how to do needle drag nails! But since that was one of the prompts for this week's 52 Week Pick n Mix Challenge (along with burgundy/maroon) I gave it a go. While I definitely do not love how mine turned out I've seen enough great needle drag looks that I'm not going to completely give up on this technique. I just need some practice. Hey there! How was your long weekend (if you get one)? 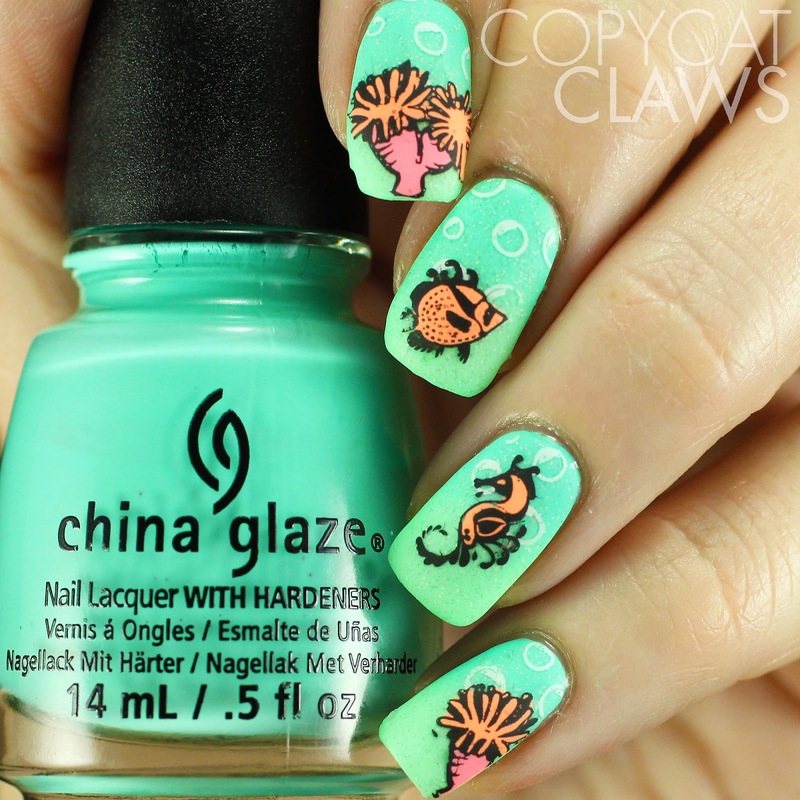 This is some stamping I did over Zoya Savita awhile back. I realized I have so many folders of photos that I haven't gotten around to posting even though I really liked the manis. This is an example of one of them. Hey there! Happy Easter to those of you who celebrate it or, for those who don't, happy Sunday! 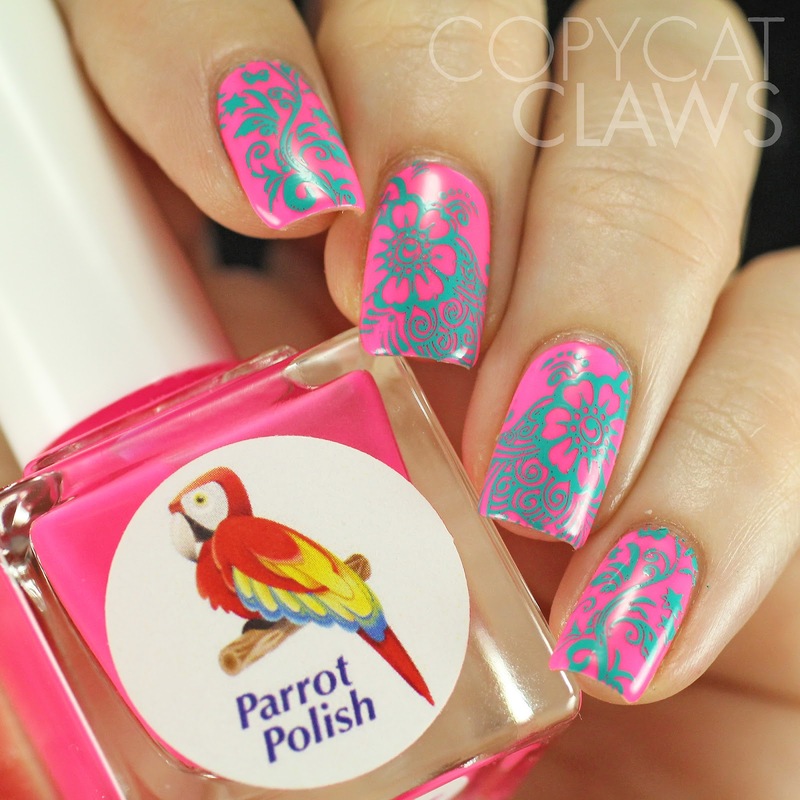 This week's Sunday stamping theme is "pink & teal". 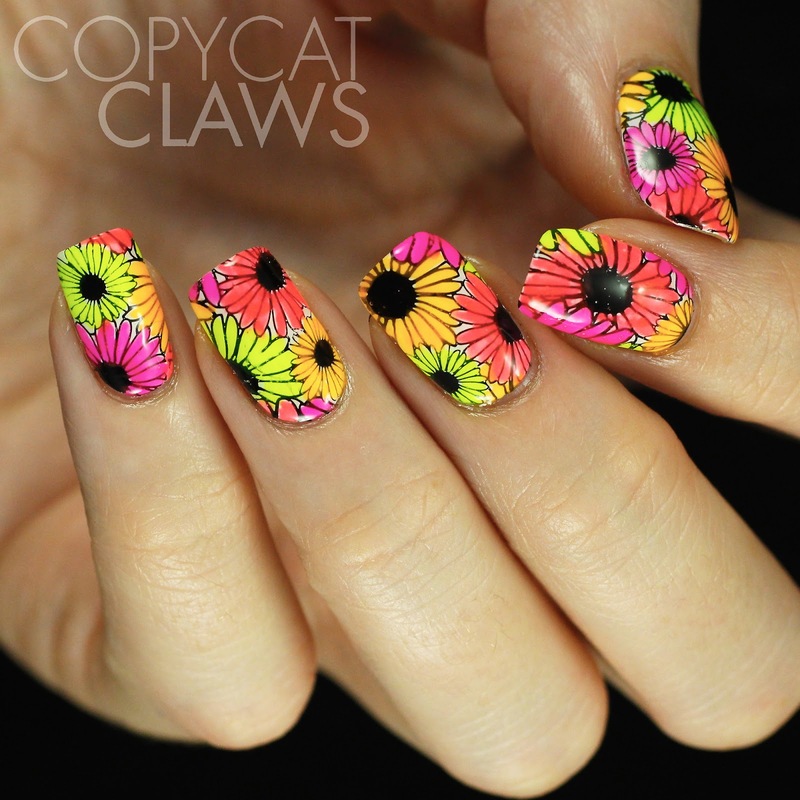 Anytime I think of those colors together I think of the tropics so I did more tropical flower stamping for this theme. I actually wore pink & teal nails twice this week since the first ones didn't work out so well as you'll see at the end of this post. Hey there! I've been wanting to do a purple/black gradient since I saw this dress on Pinterest. 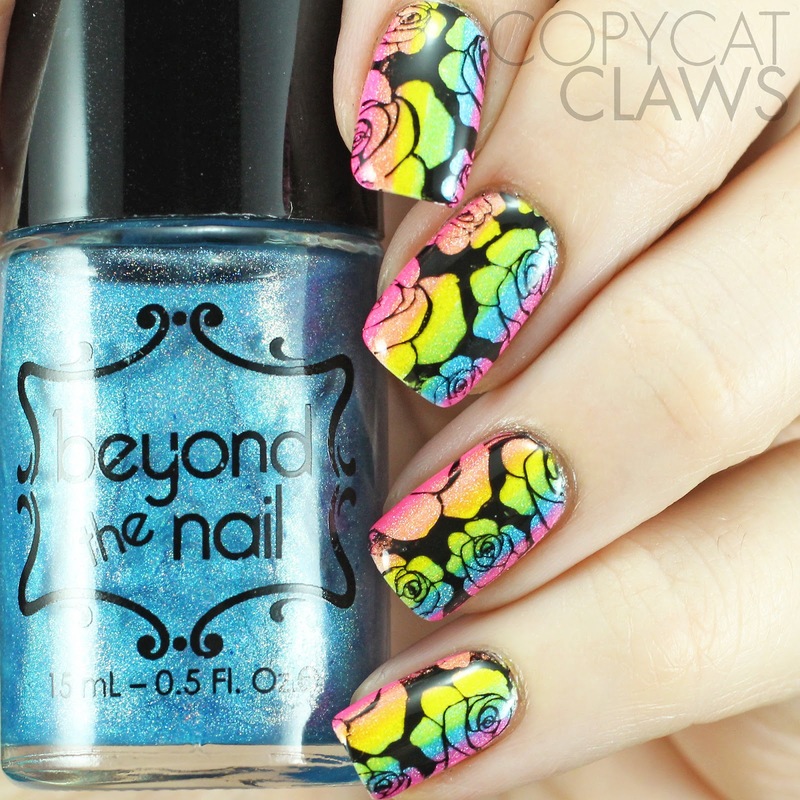 But gradients with black at the cuticle side of things can be hard to clean up. At least they were before the discovery of latex/masking fluid products to help in clean up. So I bit the bullet last weekend and did the gradient. 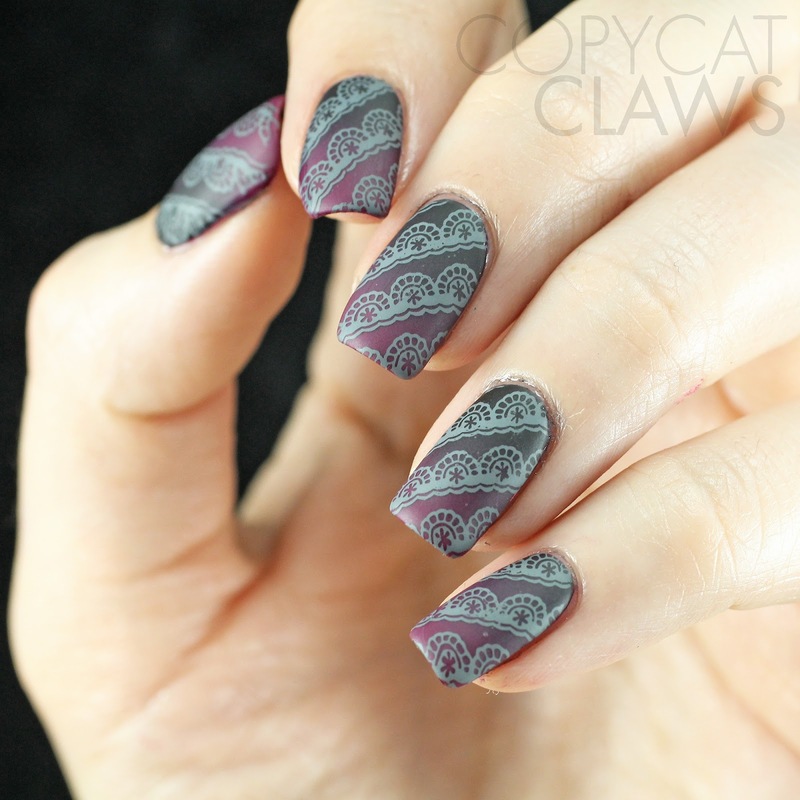 Then, because I like messing with things, I stamped some lace and made them matte and really liked the final look. I liked it so much that I took about a million photos so prepare yourself for a photo-heavy post. Hey there! It's almost the long weekend...woohoo! And man, do I need a long weekend. Today's post is a quick one with something I wore last week. I adore Picture Polish so I always get excited when they release their collaboration shades. 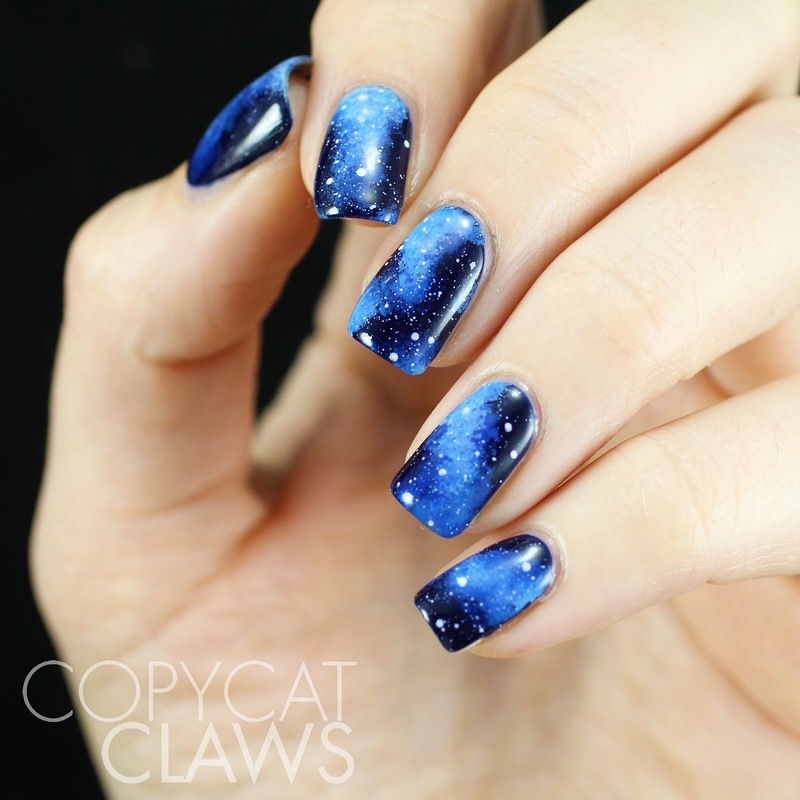 This time around the only one I ordered was Cherish, the collaboration with a blogger whose nails I just love, Ukrainian blogger, Anna Gorelova. 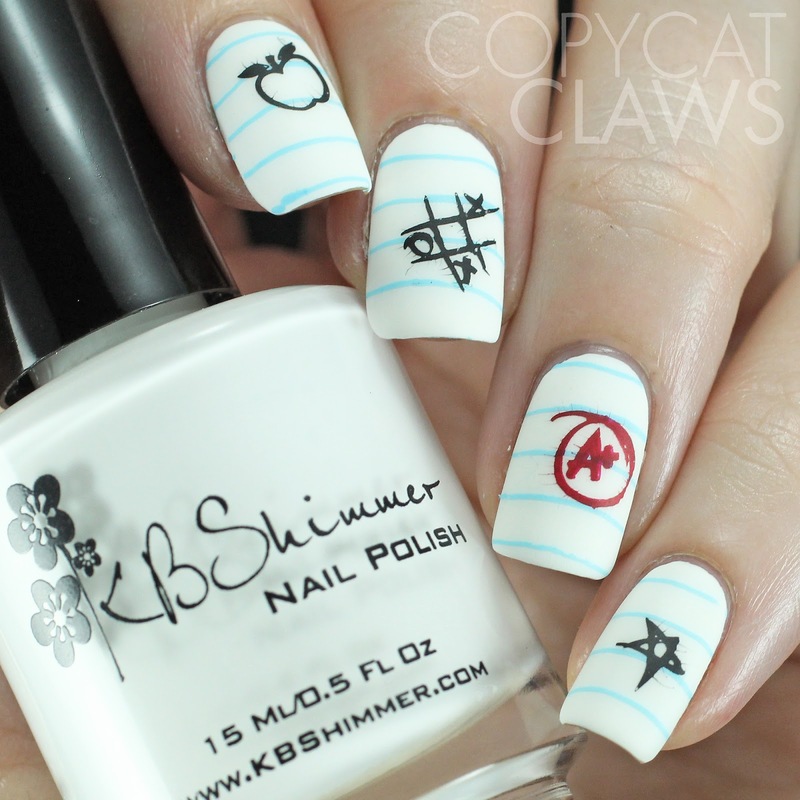 Even though I can't read Russian, I love looking at her swatches and nail art. 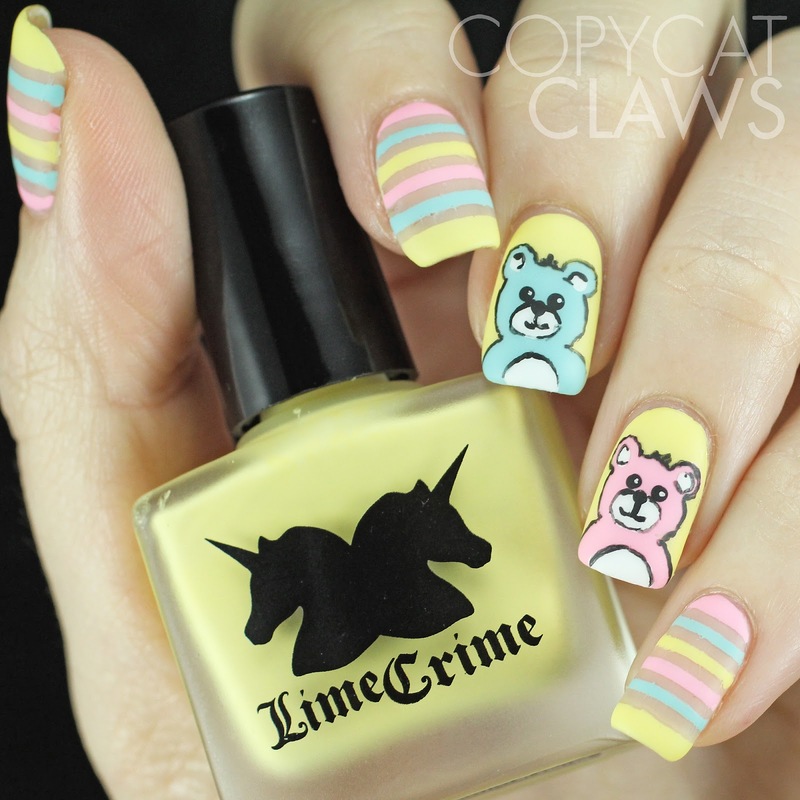 I wish my nails looked like hers! Hey there! 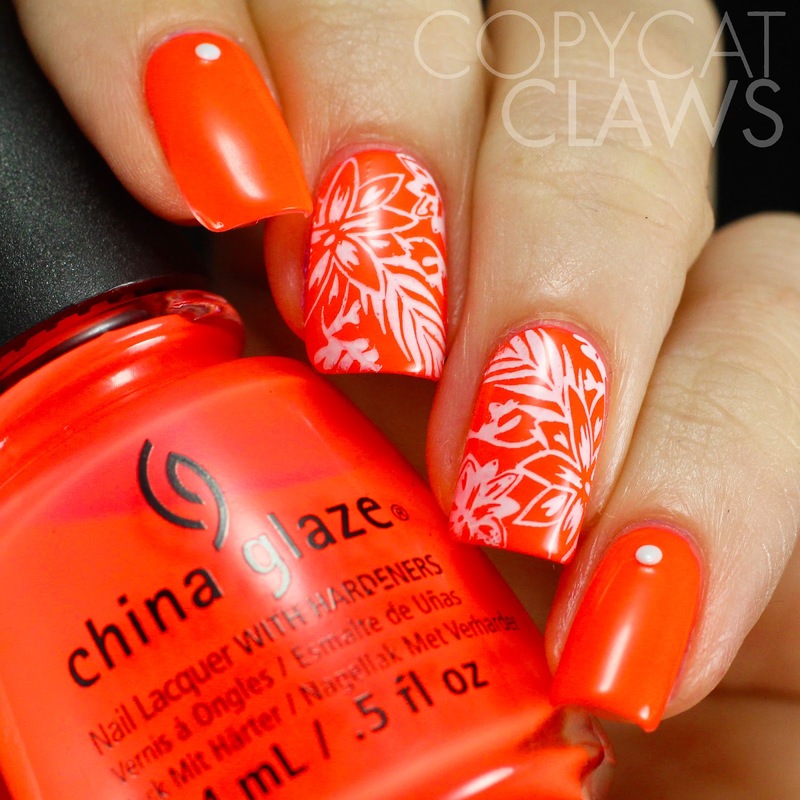 No April Fool's Day jokes here, just nails that way too bright for spring. If you follow me on Instagram you might have seen this picture I posted a couple of weekends of me helping out my friend Brandon with his political campaign for the upcoming election. If you look close you can see the ridiculously bright nail polish I'm wearing, China Glaze Pool Party. It had snowed a ton last weekend so I was craving something bright and summer-y...plus it had the added bonus of visibility in case I got stuck in the snow, haha!